Love Ultra Radio spoke with Ebrima organizer of Food Clothing & Shelter Festival. Find out why there is no culture without agriculture, why growing your own food is important and the definition behind food clothing and shelter. Learn what three C’s everyone should know, how to demonstrate self reliance and the meaning of “Hand Up”. 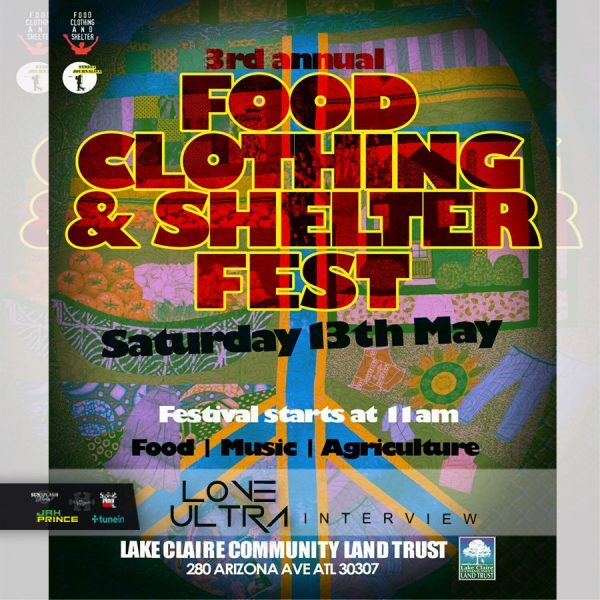 Come out to the 3rd Annual Food Clothing & Shelter Festival, Saturday, May 13th at Lake Claire Community Land Trust. Follow Food Clothing And Shelter, get involved with the community efforts and find out what Ebrima Ba loves ultra. 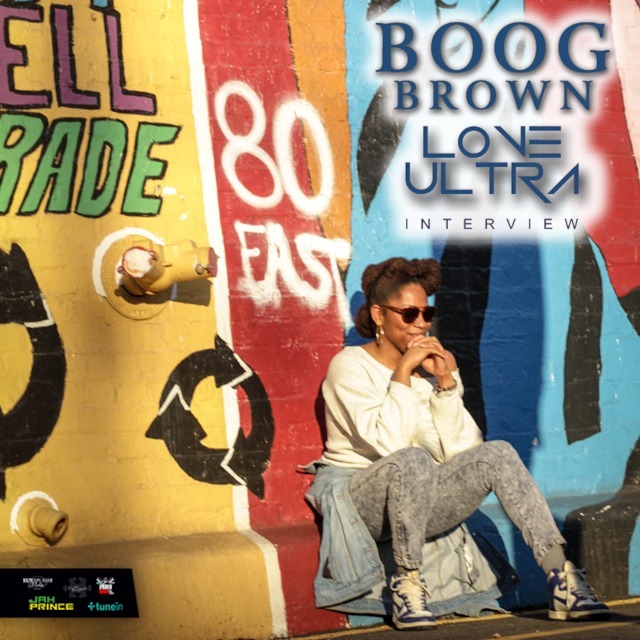 Love Ultra Radio spoke with Gotta Dance Atlanta studio. Artistic director, Prisca Strother took some time to tell us more about Atlanta’s premier dance studio/company. Find out more about the upcoming choreography shows like, “Surface” a contemporary Dance Company event. Have fun and get familiar with new choreography, stay fit and hip at Gotta Dance Atlanta. Everyone is welcome to join, check for class schedules and upcoming show times and experience dance at “Gotta Dance Atlanta“. 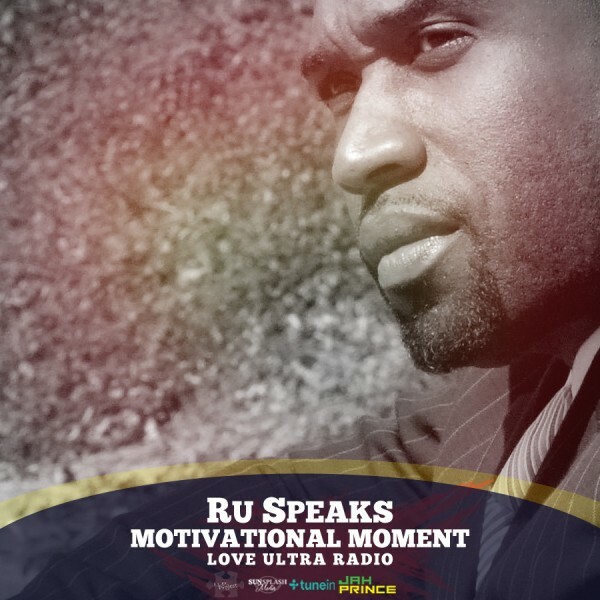 Love Ultra Radio had our Motivational Moment with Ru Speaks. Our friend Ru Speaks spoke about everyday distractions, staying focused on your goals, and learning how to “protect your positive”. Motivational Moments with Ru Speaks, helps us to talk out some of our day-to-day struggles and learn to deal better with some of the worlds distractions. Press play to learn how to protect your own positive and what Ru Speaks loves ultra.